Just minutes north of the bustling 380 corridor sits the new community Highmeadow Village in Aubrey, Texas. This quaint area boasts small-town atmosphere while providing easy drive to the big city. With this ideal location, your commute to major employers and cities, such as Denton Frisco and McKinney, is a breeze. Head out on the weekends to local entertainment venues that surround the area or go grab a bite to eat from one of the many top restaurants. If things couldn’t get any more convenient, Brockett Elementary School sits right across the street from the community. 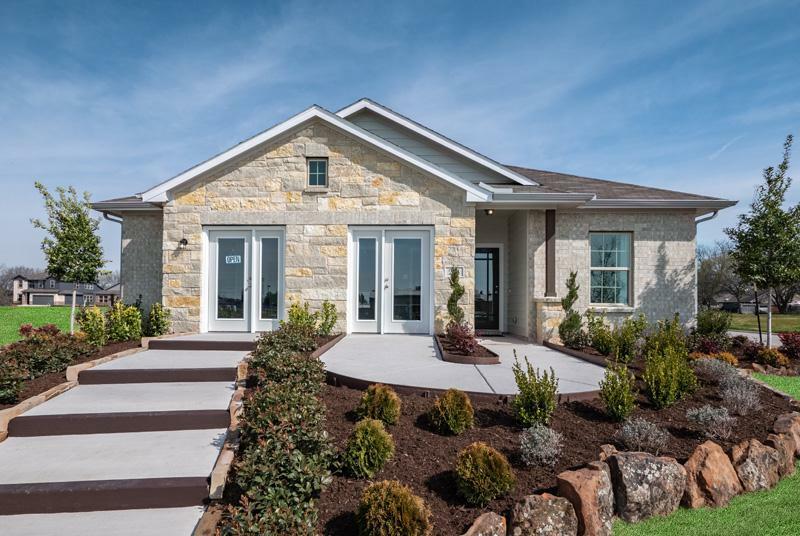 CastleRock’s new homes in Aubrey are perfect for first time home buyers or growing families. With competitively low prices, CastleRock offers 10 unique floor plans with a variety of upgrades to make your house a home.